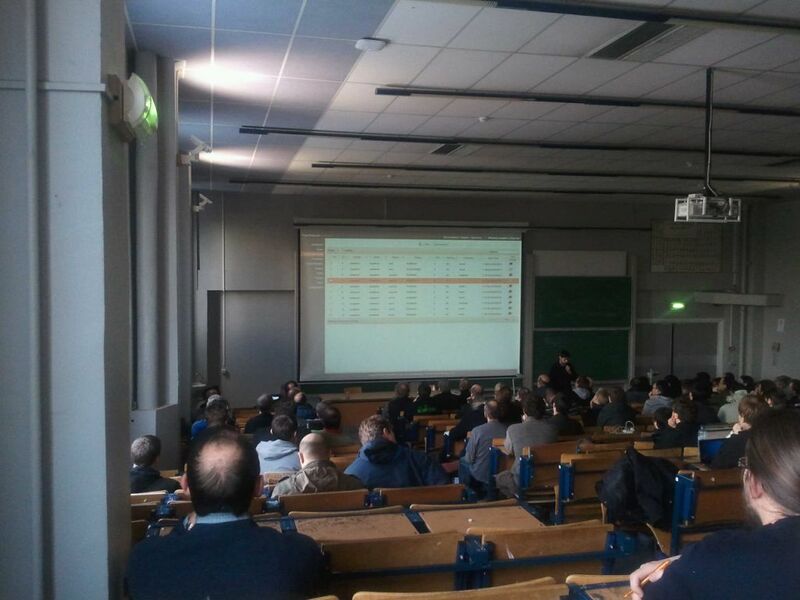 Last Thursday, 16th of February, a Cloud Computing and OpenNebula workshop took place in Timisoara, Romania. The event was organized by a team of passionate people as an initiative to spread the word about Cloud Computing in Romania. This was the first of a series of events that are going to take place around the country, especially in the cities with internationally recognized technical Universities. The Workshop consisted of two parts. The first part was a presentation about Cloud Computing as a concept and how Cloud Computing revolutionizes the use and deployment of IT services. The pay-as-you-grow billing model was emphasized because it helps new startups and individuals. In the second part of the event I talked about the open source ecosystem and OpenNebula. I presented the OpenNebula architecture with emphasis on Sunstone. I haven’t presented OpenNebula in greater detail because I wanted to show the participants how easy it is to use a Cloud after it’s set up. In the next events I am planning to do a live installation together with the participants, along with a thorough explanation and presentation of OpenNebula’s internal architecture. A small use case was shown, the implementation of an email Cloud using OpenNebula, Postfix and Cyrus-IMAP. I started with stock Debian Squeeze (6.0.4) images and with the help of the contextualization mechanism from OpenNebula I built the VM to deliver the service. The Cyrus-IMAP mailboxes, and VM files are stored on MooseFS. I will post details about the system on this blog in the near future. I am also building a git online repo with the contextualization scripts I have used in case anybody needs them. Taking into account the number of participants, around 35 people, and the positive feedback I have received after the event I can say that the event was a success. You can find more details about the workshop on our Facebook page. Thank you OpenNebula community for this wonderful software you are all working on! The OpenNebula Project is pleased to announce the release of a new version (3.1.80) of the OpenNebula drivers to build clouds on Microsoft Hyper-V. From its first release in October 2011, we have been working with some of our users to improve the stability of the integration prototype and to incorporate more functionality. The main aim of this new release is to enhance the performance and scalability of the drivers and to simplify its deployment by leveraging technologies commonly available in Windows environments, like Windows Remote Management. This release also updates the drivers to work with the latest stable version of OpenNebula (3.2). We are planing to deliver a stable version, which will incorporate all the new features, in few weeks. You can find more technical details in the Hyper-V page of the OpenNebula ecosystem. February 21st, 2011. The OpenNebula project announces the general availability of the first pre-release of OpenNebula 3.4. This pre-release solves minor issues in several OpenNebula components and includes some new features, specially in Sunstone and in the cloud servers (EC2 and OCCI). More deatils about OpenNebula 3.4 (pre-release 1) can be read in the release notes. The aim of the new functionality in 3.4 is to improve the storage subsystem. OpenNebula 3.4 will feature multiple data-stores and several new back-ends for storage. Some of this is already in the repository although it has not been included in this sprint. Stay tuned for this and much more in OpenNebula 3.4! Note that this is a development release targeted at testers and those that want to get a glance of next release, production sites are not recommened to upgrade. The OpenNebula driver in Deltacloud has been updated to interact with OpenNebula 3.x clouds. 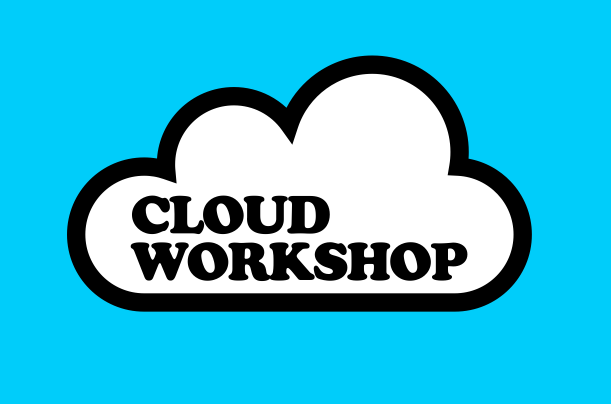 If you want to test it, there is a how-to available on the OpenNebula wiki that will show you how to interact with OpenNebula using Deltacloud. You can even test it using the OpenNebula Public Cloud. We would like to thank Marios Andreou for his support. This guide shows how to enable and use x.509 certificates for authentication in OpenNebula Sunstone. In this configuration, the authentication is delegated to Apache, or any SSL capable HTTP Proxy. If the certificate is valid, the server encrypts those credentials and sends the token to OpenNebula. This screencast demonstrates the new easily-customizable self-service portal for cloud consumers. Its aim is to offer a simplified access to shared infrastructure for non-IT end users. The screencast shows how to create a virtual network, how to upload an image, and how to launch virtual machines using them. Self-Service Portal, a new easy-to-use web-based end-user interface that complements the existing GUIs for the operation of the data-center (OpenNebula Sunstone) and for the management of multiple zones (OpenNebula Zones). You can see a couple screenshots of this new interface in this blog post. We also recently updated the OpenNebula Public Cloud to OpenNebula 3.2. Please note that, a few days ago, we released OpenNebula 3.2.1, a maintenance release that includes several bug fixes. This is a recommended update for everyone running the 3.x version of OpenNebula. As we mentioned in our last newsletter, one of the new features in OpenNebula 3.x that is getting a lot of attention is OpenNebula Zones. We published a screencast that explains this feature in more detail, which we recently followed up with a second screencast showing how to manage Virtual Data Centers in OpenNebula. Ken Barber, from Puppet Labs, wrote a blog post (co-authored with our own Tino Vazquez) on how to “puppetize OpenNebula”, describing the integration between Puppet and OpenNebula. 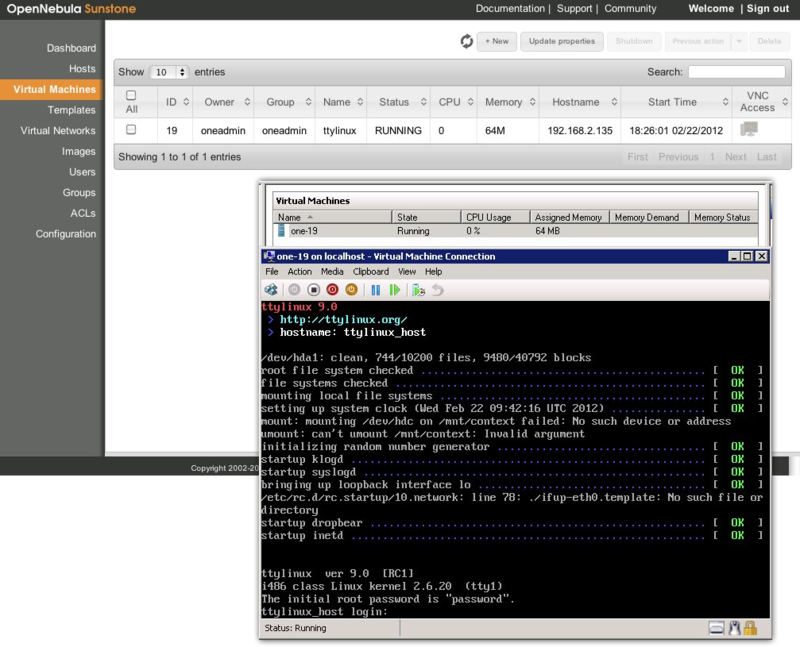 The Business Application Modernization (BAM) Department of IBM India contributed two really interesting blog posts on using OpenNebula with Nested ESX VMWare, and on Using HybridFox and EC2 Interfaces on VMware-based OpenNebula Clouds. We have a new contribution to the OpenNebula ecosystem: CLUES (Cluster Energy Saving), an energy management system for High Performance Computing (HPC) Clusters and Cloud infrastructures. The main function of the system is to power off internal cluster nodes when they are not being used, and conversely to power them on when they are needed. Thanks to the Grid y Computación de Altas Prestaciones (GRyCAP) group at the Universidad Politécnica de Valencia for this contribution! oVirt and OpenNebula were featured as the main new components in cloud and virtualization in Fedora 17. A new book titled “Open Source Cloud Computing Systems” (by Luis Vaquero, Juan Cáceres, and Juan Hierro) was just published, including a chapter on OpenNebula. SARA launched its new Cloud with OpenNebula 3. Some of their first users gave it glowing reviews.